Honda’s fuel economy estimates are based on EPA exhaust emission measurement test procedures and are intended for comparison purposes only. Your actual mileage will vary depending on how you ride, how you maintain your vehicle, weather, road conditions, tire pressure, installation of accessories, cargo, rider and passenger weight, and other factors. 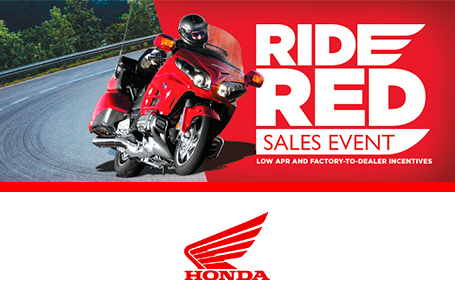 When the Honda CRF450RX hit the scene last year, it blew everyone away. This was more than just a premier-class motocrosser with an electric starter. It’s a serious off-road weapon fully optimized for trophy-class competition in enduros, hare scrambles, and GNCC racing. This year we’ve upgraded the battery to a lithium-ion unit for lighter weight and better performance, and removed the kickstarter to also save weight. 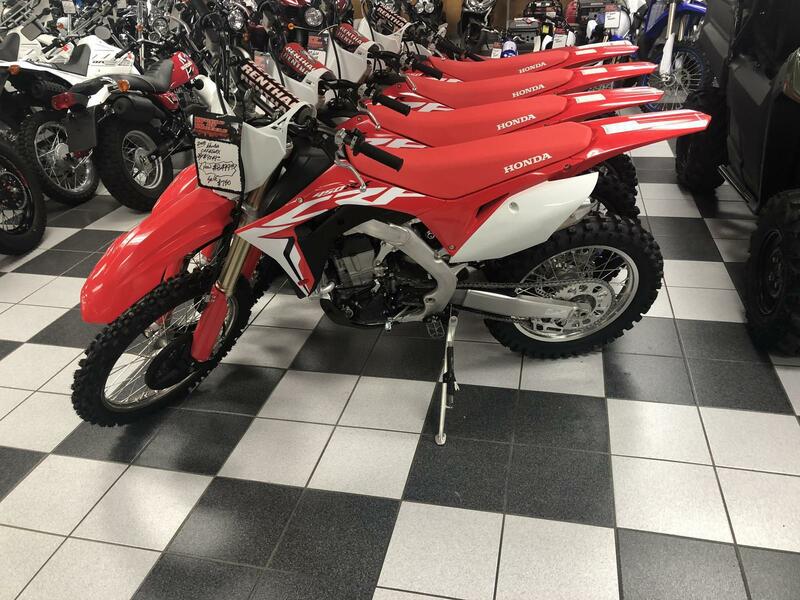 If you’re serious about winning and want the biggest advantage you can find, the 2018 Honda CRF450RX delivers. 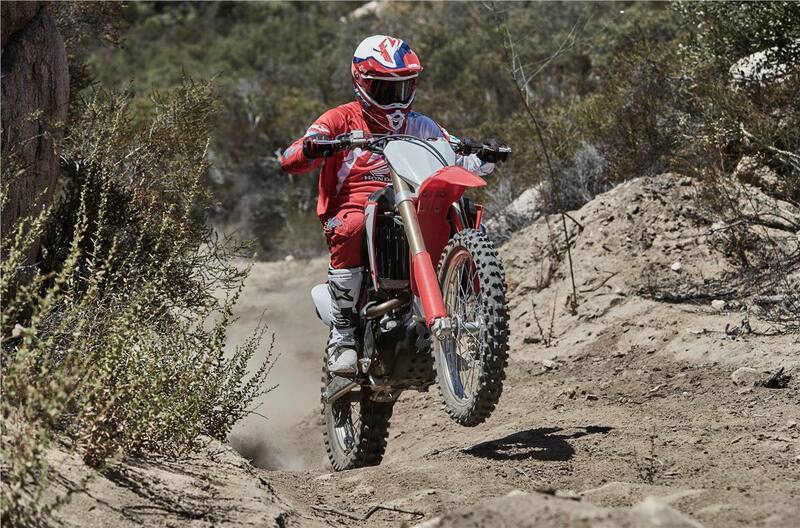 18-Inch Rear Wheel: An 18-inch rear wheel is another indication of our fine-tuning the CRF450RX for off-road racing. Whether it’s red Georgia clay, Florida loam, or Baja sand and rocks, you’re going to find this bike offers the performance you need. Off-Road Suspension with Spring Fork: Designed specifically for the demands of off-road riding, the CRF450RX’s Showa® Spring Fork and suspension components are fully adjustable and chosen to give you the ultimate tunability and performance in the field for changing conditions. 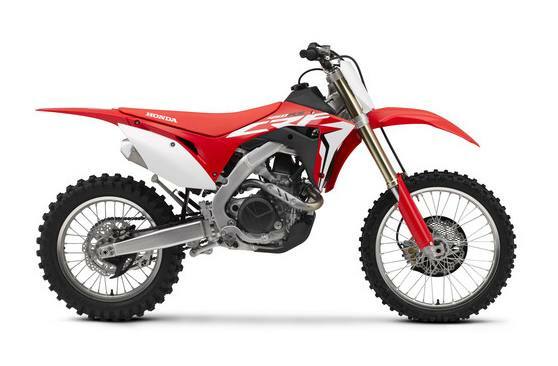 New Dual-Muffler Exhaust System: The CRF450RX’s dual exhaust system is compact and positioned closer and lower in the frame’s center to take weight off the rear end and bring more mass to the bike’s center for superior handling. Dunlop Geomax Off-Road Tires: The Geomax AT81 tires are specially designed for off-road riding, and help the CRF450RX hook up and put its holeshot traction to the ground. Aluminum Frame: Our twin spar aluminum frame positions the rear shock’s mounting point low, opening up the airbox area and contributing to a lower center of gravity. The frame geometry also helps give you more traction, and that means more holeshots! Cylinder Head Layout: The CRF450R uses our latest finger-follower rocker design. The Unicam cylinder head remains the most efficient in the MX world, giving you the design and performance of a double-overhead-cam layout but the compactness of a single-overhead-cam design. Scavenge Pump: Deep in the engine, there’s a special oil scavenge pump. You may never see it, but it helps keep the CRF450RX’s overall design compact. Electric Start: The 2018 CRF450RX comes with a lightweight electric-starting system as standard equipment. The lithium-ion battery is also super light. It’s a win/win combination. Large Fuel Tank: Stopping for fuel in a race costs time. With the CRF450RX’s 2.2-gallon fuel tank, depending on the course and how much roost you’re making everyone else eat, it’s possible to make it through a three-hour enduro with just one fuel stop. Engine Mode Select Button: This simple, handlebar-mounted button lets you dial in engine power delivery character with a push of your thumb. Choose between Standard, Smooth, and Aggressive, depending on course conditions. 260mm Front Brake: The CRF450RX’s large front-brake disc measures a whopping 260mm. You get great brake feel and a wave pattern that cuts down on weight. Front and rear brake-disc guards are part of the package, and are sure to be popular with off-road riders. Skid Plate: A factory skid plate is light and offers the engine and lower-frame protection that a motocross racer demands. The smooth contours help keep you from getting hung up on logs and rocks, too. Kickstand: It seems like a small detail, but off-road bikes can sometimes need a kickstand. Which is exactly why you’ll find this light, compact unit added right from the factory.